We've been bringing integrity and expertise to Denver doorsteps for over three decades. We are a locally-owned, privately-held real estate company that specializes in metro Denver residential, commercial, land and investment properties. The most important element of each real estate transaction is our relationship with you. This relationship is built on trust and a proven track record for getting the job done from our first meeting to the closing and beyond. 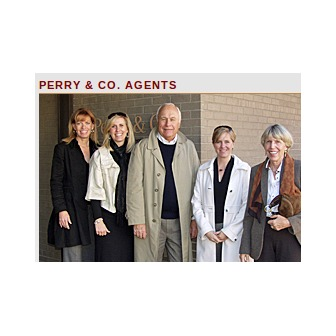 For over 30 years, clients of Perry & Co. have become friends and family. Over 85% of all of our business comes from former clients, friends and referrals from satisfied clients. We're proud to be a Denver tradition. We grew up here and grew our business here. We've had the same, continuous broker management since 1971. We parlay that 30+ years of experience in this market to serve clients, many of whom we've been privileged to serve through several generations. We've grown right along with Denver: from one office to four offices, from a focus on central Denver neighborhoods to a growing clientele throughout the metro area. Our mission - bringing integrity and expertise to your doorstep - is upheld by our agents, our staff and management team. We think of our team of agents and staff as family, sharing information, mentoring, supporting each other and working together to make Perry & Co. the premiere real estate company in Denver. We like to think of our clients as members of that family. Our twice annual parties, each with over 1800 clients, friends and industry professionals, are an opportunity for us to express our appreciation and spend time together.